Oh my darling! 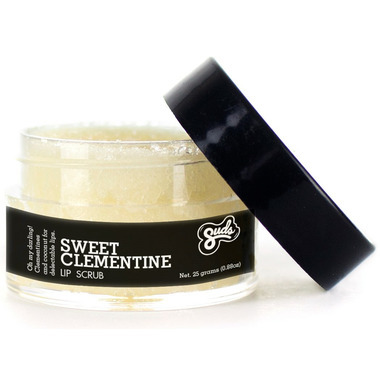 If your flakey dry lips are driving the ducklings to the water every morning just at nine, then it's probably about time for a little Sweet Clementine. In ancient times, the clementine fruit was considered the crown jewel of the mandarin orange family; but all you really need to know is that the aroma and flavour are simply swoon-worthy. Blended with lightly exfoliating fair trade cane sugar and ultra hydrating (and rather delicious) coconut oil, what you have is the holy trinity of lip smacking joy. Oh my darling clementine! Citrus Punch: Clementine essential oil has traditionally been used to soothe and freshen dull skin whilst also lightening the mood. Coco-Oh Nut: 'Kalpa vrishka,' the Sanskrit name for the coconut, means 'tree which gives all that is necessary for living.' We couldn't have said it any better ourselves! Sweet Tooth: Sugar was first widely used in India, where locals believed that it held near-magical healing properties. Folk healers were known to prescribe sugar to patients for longevity and fertility. Around the same time, the Romans first got their hands on the sweet stuff but oddly did not care for it much. They must not have had much of a sweet tooth, we guess. Directions: Take a pea-sized amount and gently rub it into your lips to scrub them soft and smooth, licking off any excess. Finish up with your favourite Sudsatorium lip balm for the ultimate smoochers. Excellent scrub. Love the taste! Works really well but it is not overpowering. Smells and tastes great, and is gentle but effective. Absolutely love this scrub, super clean ingredients and does the trick! Will definitely buy again!